This kendama is nice piece. 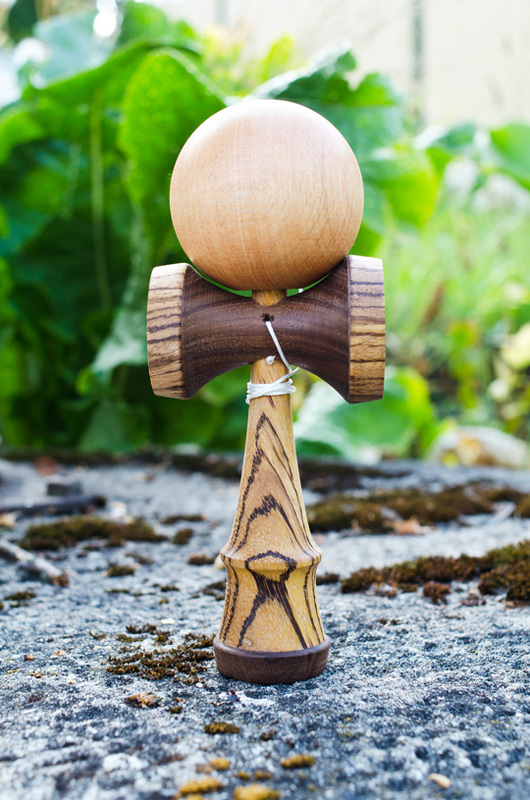 Kendama is made of exotic zebrano with walnut base cup. Sarado is made of walnut and zebrano wood. Tama is died to mahogany color. Stylish bag and 1,5 m string included.